One day as I was babysitting my niece and nephew, I hear “Auntie Eva, Auntie Eva come play with us.” I was in front of the computer, completely focused on researching something for my new project. I stepped away from the computer and started playing their pretend game. “Pretend I’m a Ninja and chase me” game. I noticed that I wasn’t paying attention to the kids, and still thinking about my project. I wanted playtime to be over. I wasn’t completely present even though I was trying really hard to be. Then, deep down inside I knew that this was life. It was a surreal moment – as if I was watching myself in a movie as this scene was passing me by. This was it and as good as it gets – people (kids) being authentic – experiencing real and raw enthusiasm and laughter. It’s pure love that just wants to be with you. And it hit me while I’d been searching to find the right answer to “What am I supposed to do with my life?” I’d missed out on life. I admit I’m an over thinker. I’ve believed that I could think my way to finding my purpose. To think my way to finding purpose and fulfillment on my terms. Well, I have a confession to make. 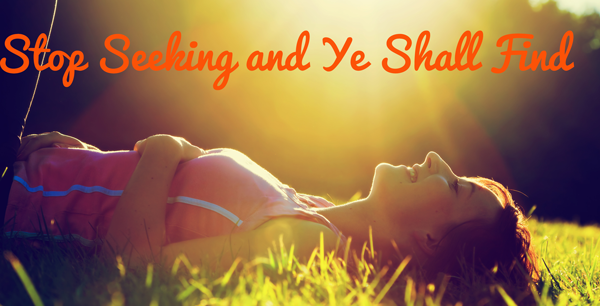 At the end of it all – all that searching, all that thinking kept me lost. It all started with good intentions, I saw my father pass when I was 14, after many years of suffering from cancer. A man with big dreams that didn’t see it come to fruition – a business that never got launched. I decided at that moment that I wouldn’t let it happen to me. So began my long search for the right jobs, the right opportunities, and perfect guy – the perfect life. Sometimes, I feel regretful about missing out on some of the best years of my life. But then I remember that life gives us the exact lessons we need to be the best at what we do. I have a message and knowledge to share with my experiences and so do you. It’s never too late to make your dream happen. The first step to making your dream life happen is to know yourself. Discovering your true self is the most rewarding and fun path to get you to your dream. When you dive deep into the brand of you – you’ll gain clarity about exactly what you really want and what’s unique about you. Tha I love what I do – personal exploration helped me breakthrough from the constraints of my past and share my talents of seeing the authentic beauty and truth in people. I love helping others make their dream happen creatively and strategically. It’s been a long journey of searching for meaning. And the truth is that searching keeps you lost. Everything you’re looking for is already within you. And searching externally for the answers causes needless suffering that keeps you stuck in life. So Stop Searching and Start Living Now. Here are three tips to experience more fun and adventure in your life now. In the process you might just stumble upon your purpose while you are living life. 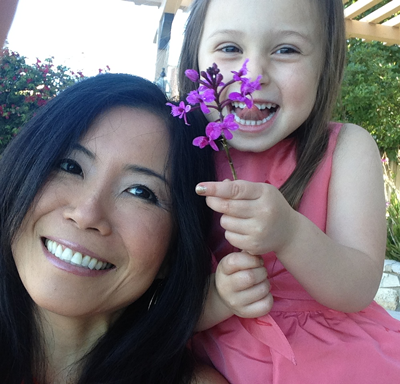 When I heard from my niece and nephew, “come play with us,” I realized my “seriousness” about my business kept me from finding my sweet spot in life. Whether you call it your purpose, calling, or mission, we tend to over think these big topics. They feel so big. We put so much pressure on ourselves, especially if we’re a purpose driven entrepreneur. It means the world to you. If that sounds like you, the best thing you can do for yourself is to go play. You could take up a new hobby, go on vacation or just take the day off. All of these will shift your perspective about your day to day work. Whatever you choose to do, make it FUN. Keep it light and easy. When I find myself getting too caught up in a project (getting anxious and neurotic), I remove myself from what I’m doing and go play. I literally give myself a time out (just like when we were kids) and go run, do yoga, and cook. I work it out energetically. And I have my go- to list to remind myself of the bigger picture. I say, “so what? This is such a small thing compared to what’s happening in the world,” How can I make this situation or project more fun? Action Item: What things can you do to energetically work stress and tension out of your life? Make your go-to list. We’re physical beings that store emotions in our bodies. And no therapy can the remove stress you hold in your bones. You need a physical activity to work it out! When you watch kids play, its raw, real, 100% in the moment. Think about when you where a kid and at your best. What were you doing? What seemed so easy for you, that it felt like play? 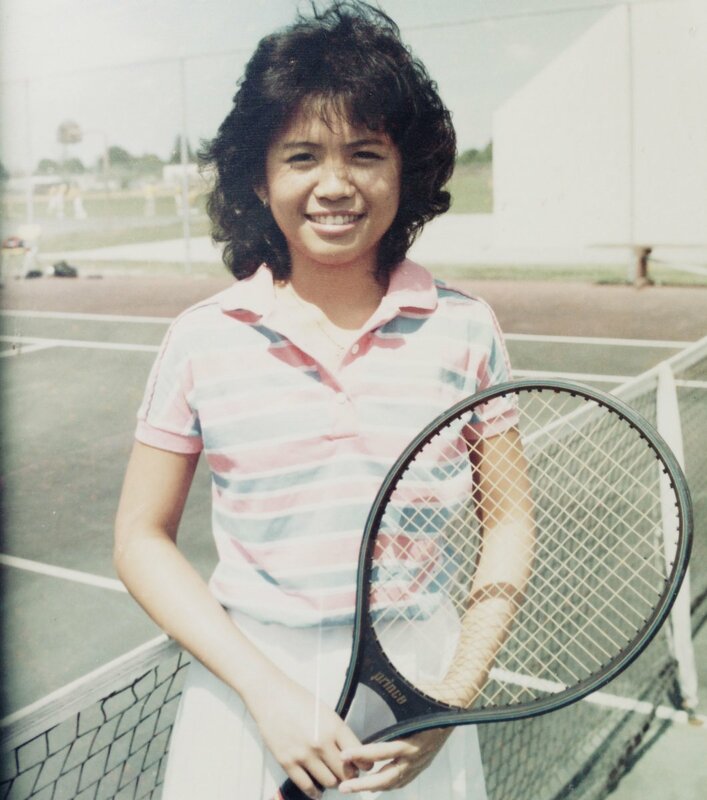 In my teens, I wanted to become a tennis player. This picture might be deceiving (I was on the small side. ), I was really good – #1 in High School and played in College because I hardly ever missed a shot. I remember distinctly when I lost my edge. I was up 5-0 and lost the set. I got so in my head and started to thinking thoughts like “I hope my forehand doesn’t fail me. I really need to win this point.” I forgot about just playing and freely hitting the ball. 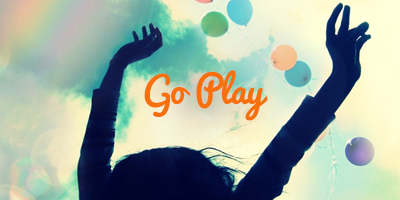 Action Item: So go out and do something playful today. Reconnect with your childhood genius and don’t keep score! When you bring more play into your business tasks, you’ll implement faster. This is because you won”t have perfectionism stopping you or paralyzing you with fear. I used to think I was a perfectionist. Now I believe those tendencies were just a mask for fear. I can’t help but laugh at myself because in hindsight, those episodes seem so ridiculous. 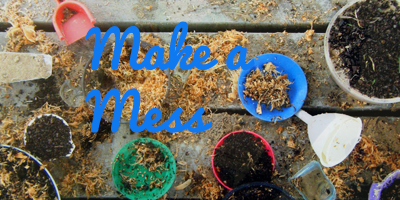 If things weren’t messy then what would I have to tinker with? Nothing. And that would be NO FUN. Action Item: Let it Go! If you’d like help finding your sweet spot in your business and revealing your undeniable beauty and truth, connect with me here for a discovery session. And leave a comment below and let me know how you’re bringing more play and sweetness into your life.